The Roaring Run Recreation Area is more than just a rail-trail – the more than 650 acres of preserved natural area protecting the Roaring Run Watershed features a 4 mile rail-trail and more than 15 miles of mountain biking/hiking trails, and a canoe/kayak launch onto the Kiskiminetas River. Mile Hwy. Stay straight onto PA-380 E. Take the PA-66 ramp toward Apollo/Greensburg. Take 66 North to Apollo, keeping right at the fork to continue on PA-66. Cross the bridge into Apollo using the right lane. At end of bridge turn right onto Kiski Ave. Follow for 3/4 mile. Stay along river using Canal Road. Roaring Run Recreation Area main parking area is at the end of Canal Road. Roaring Run Recreation Area is an important feature in the 320-mile Pittsburgh-to-Harrisburg Main Line Canal Greenway™. The Roaring Run Watershed Association currently owns 653 acres of largely recovered mine lands which, in some places, still bear the scars left from past environmental abuses. The Roaring Run Watershed is home to the 4-mile long Roaring Run Trail, an ADA accessible, crushed limestone surfaced trail built on a former railroad grade along the Kiskiminetas River. Another mile of more rugged trail ends at the village of Edmon. Branching off the Roaring Run Trail, the 1 ½ mile Rock Furnace Trail runs along the heart of the Roaring Run Valley at various grades, ending at a waterfall vista. 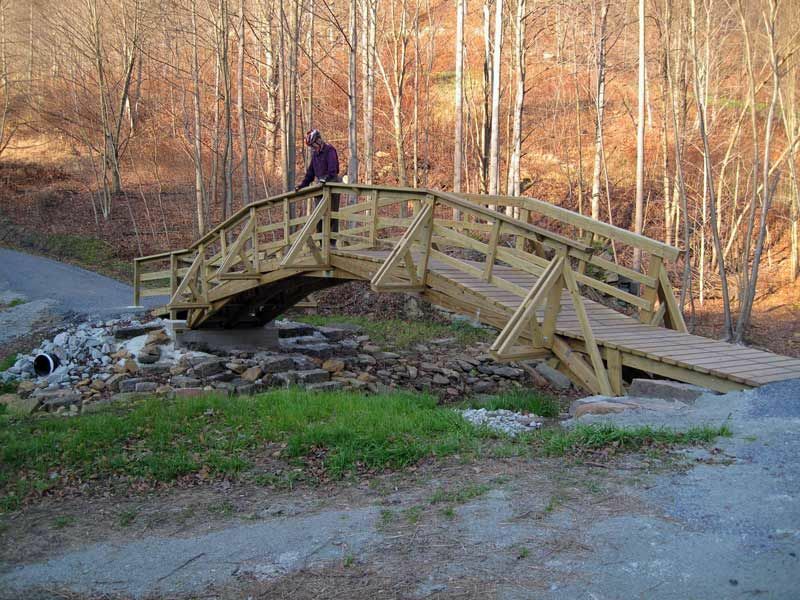 Nearly 15 more miles of hiking/mountain biking trails crisscross the Recreation Area and a number of bridges and special features have been built along this network of trails. The Watershed Association is currently working to secure land along the Kiskiminetas to physically connect the trail into the town of Apollo (3/4 mile). Work is also underway in cooperation with the Conemaugh Valley Conservancy to close a 5-mile gap between the Roaring Run Trail and the West Penn Trail in Indiana County. The Recreation Area also hosts a launch site to the Kiski-Conemaugh River Water Trail. The Recreation Area is the only recreation asset in Kiskiminetas Township. Despite its remote location, the Recreation Area's 80 parking spots are nearly filled almost every weekend between March and November, often with mountain bike users from the Pittsburgh area. The maintenance of both the rail trail and park facilities is 100% volunteer-based. All special projects are coordinated and managed by volunteers. Small bridge over Roaring Run.